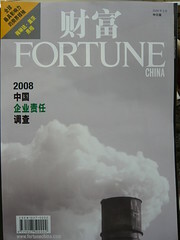 Here’s the Chinese version of this month’s Fortune China cover story on Chinese attitudes toward responsible business practices, which I co-authored. I took the photos of the article in the back of the cab in Beijing after a lunch meeting with the editors and uploaded them to my flickr account, so I’m sorry if any pages are hard to read. 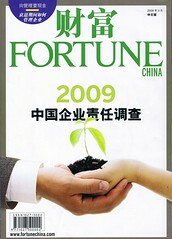 Here’s a link to the Fortune China site and article. You are currently browsing the Joshua Wickerham weblog archives for the survey category.